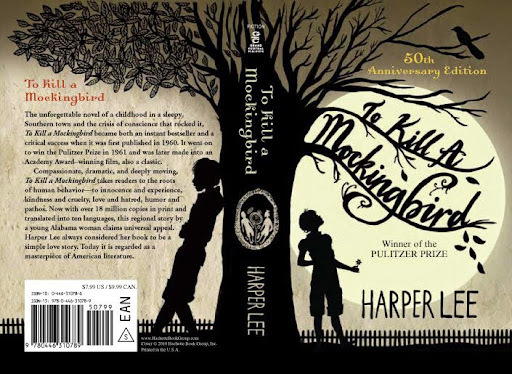 For most, To Kill a Mockingbird was required reading in Junior or High School. During these periods of my life, this book (for one reason or another) was never on my personal reading list. Curse the melancholy of being a twelve year nerd and the allure of the Russian masters. Regardless, Lady Funkowitz gave me a copy as a gift and honestly, I regret not reading this book sooner. Certainly, it is a simple book by its structure and accurately reflects the point of view of the main character. Yet, there is a power within that simplicity that offers the reader a glimpse into black mark in America's history and the reasons for why all individuals require dignity and respect. While I have this in mind, is there a greater moral barometer in American fiction than Atticus Finch? In many ways, Finch is an oddity among virtually every character in this book. He is in a class of humanity by himself, whether this merely because of Scout's (or more specifically, Harper Lee's) reverence for her father is irrelevant. He is the embodiment of what a person be, someone whose does the right thing, not because should do or expected to but rather because it is the only choice a person has. What makes him different in Maycomb is that nobody else in that community is willing to rise to that challenge. It is sad that it took thirty-one for me to read this classic of American literature. I do not know why Harper Lee never published a second literary work and frankly, I am not to concerned by that. She accomplished something that few authors achieve and I am not referring to the Pulitzer. Lee created a book that is a timeless and moral tale about the evils of discrimination. The fact that this book is still relevant from the perspective of its content, message and characters is a testament to the what Lee wrote. To merely write this book off as something to be read for a class is doing this book a disservice. So, put down that novel by one of the Russian master and give this bad boy a read, you might be pleasantly surprised as I was. Is there a finer and more impassioned monologue than Atticus' closing argument for Tom Robinson? I suppose that is a loaded question but it mighty fine. Also, you can bet that will be reviewing the film as well. PORTEcast (08/11/2014): "Good Idea, Bad Idea"